Ever since J.M. Barrie first gave us the boy who never grew up, Peter Pan figures have consistently captured the imagination. 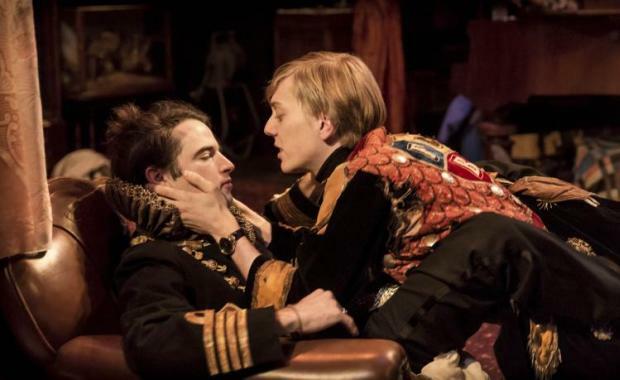 Robin, the damaged, boyish figure at the centre of Polly Stenham’s new play, is a direct descendant of this tradition, a self-declared “landed gypsy” whose not so magical but no less mythical Neverland is an old country house populated with faded rugs and creaking suits of armour. Tracing a recurring theme in Stenham’s work, Robin’s isolated kingdom is a world dominated in turn by the suffocating presence and crippling absence of an intoxicating, unstable parent. His mother, wild, untamed novelist Lily, has brought up her youngest son in rural isolation, schooling him at home and feeding him on a diet of nature and art. Horrified by the glowing smartphones and information onslaught that he finds in London, the musically gifted Robin has returned home, drink and drugs in tow, to a childhood paradise that is being steadily snatched away from him. In this world of teetering privilege, property, land and identity are all inextricably wound up with one another, as the fight for a threatened way of relating to the world becomes inseparable from a desperate battle to hold onto the family home. For all the domestic tumult and personal pain, however,No Quarter seems also to chant a eulogy for Britain, for a green but fading land of wild stags and lost boys, for a fled and empty mythology. A Jerusalem for the bare-footed, bohemian upper classes, there is a mingled air of both scorn and mourning for a way of living that was never really any more than a pretty story. Like the stuffed animals that clutter Tom Scutt’s meticulously detailed set – a haunting, gloomy shrine to taxidermy – this hermetically sealed rustic utopia is simply a mirage, death dressed up in the feathers of life. Every detail of Jeremy Herrin’s production hints at the same sense of slowly shattering illusion, right down to the dressing-up chest and the repeated use of Eurythmics’ ‘Sweet Dreams’; all an ephemeral reverie, an alluring narrative of a way of life and a nation that is drawing inexorably to its close. Delicately linked to this atmosphere of illusion, there is also an intriguingly self-reflexive note to a piece of art that is essentially about artists. In the opinion of Robin’s elder brother Oliver, a politician who has fled the chaotically creative nest, caring only about art is just another way of caring about oneself. This immediately invites reflection on the potentially indulgent nature of what we are observing, a comment on the world that faces accusations of being just as futile and self-serving as Robin’s petulant hedonism. At times Stenham seems to conspicuously revel in her language, breaking the spell of the action with long and often beguiling speeches on the state of the world beyond these four walls; Herrin and actor Tom Sturridge give Robin as much bohemian swagger and jagged broken edges as the role can contain, crafting a young Rooster Byron for the crumbling halls of privilege; Scutt’s design, a hoarder’s heaven, is a lesson in excess. Yet Robin – who for all his self-absorption and glaring faults remains the fiercely beating heart of the piece, particularly as brilliantly realised in the wiry, charismatic figure of Sturridge – strikes a blow against such charges. Making things, he protests, is the opposite of death; a way of revolting against the ugliness of the world. This argument recalls Simon Stephens’ observation that, however bleak the content, making theatre is an essentially optimistic act – an act in which this particular production is ultimately engaged. While the piece never quite seems to settle on either Oliver’s or Robin’s way of looking at the world, the final chord that it strikes is, despite everything, a mutedly hopeful one. Its vision of today might be dark and muddled, but it frames the receding myths of the past with a hint at the possibility of a better future.